Anyone who said to him/herself, 'Well, I have that wonderful Intrada reperformance with Bruce Broughton and the London Sinfonia, and that suits me fine' really does need to think again on this one. But with 'Julius Caesar' he truly classically used only a handful of motifs, and very inter-related at that. The music is subdued, never overwhelming in the OST, yet when all the material is brandished like a fanned-out flush of cards as here on FSM, one can see the full splendour of what is virtually a 'Ben-Hur' or an 'El Cid' .... but just with fewer themes, and what themes are there, apart perhaps from Brutus', don't aspire to the lyrical primarily .... brooding, uncertain, disturbed. Rozsa liked to say the score differed from the normal historical brief in that 'research' and sources would be inappropriate for a Shakespearean play that is modern and timeless, all to do with attitudes to fate, or politics. But the musicologist shines through. The chords and modes do evoke the ancient, as much as 'Quo Vadis?' and a great John Dowland song turns up poignantly. FSM, thorough as always, throws in umpteen alternative takes, specs, etc. including Rozsa himself playing a curiously Scottish unused opening cue 'Roman Holiday' on piano. One of the score's best moments 'Black Sentence' where the opportunist Antony (Brando) stretches himself before the bust of Caesar, is provided in no less than FOUR alternative versions in the supplement. Overkill? Not if you relish the rich carpet of thrusting brass/string underlay in that perfect wordless scene ... wordless in a Shakespeare movie at that! When Intrada and Daniel Robbins selected 'Julius Caesar' and 'Ivanhoe' (and indeed 'Spellbound' later) for the full reconstruction treatment, they chose their prey with the utmost taste ... not a note of any of these particular scores is outside the matrix of leitmotif variation: they sit as well-crafted internally consistent compositional structures. And FSM have allowed extra insight into the development of 'Julius Caesar' here by expansion. There's no attempt to 'compete', indeed Jeff Bond and Lukas Kendall in their very fine notes (covering all aspects of film and score) even draw attention to the Robbins album (Intrada) as a modern take on the score. The remasterings are flawless, only partly stereo, since that's what survived, but this is a release that doesn't deserve to sit on the shelves. I do plan to pick this one up eventually. For now I am content wtih the Intrada --- I guess I'm just hoping that FSM will reduce it's price like they have done on several of their other CDs? 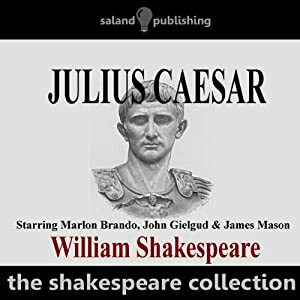 after reading willimadmccrum's mesmerizing account of FSM'S JULIUS CAESAR, and agreeing with everything that he pointed out, the only thing left to say is :if u wallet will permit - buy it , it is worth every note. I seldom do this but I brought out both CDs and played them and the difference is incredible. I say when the composer conducts you get the total intentions of what he put down to the fore. He knows what he heard to himself as he wrote it and knows totally what he trying to get out of the orchestra. The FSM sounds like the passion of Rozsa, and god bless Broughton, he sounds like watered down Rozsa. It is not just what you do but the way that you do it. I have seen Mr. Bill Stromberg work hard over the years and finally get damn close to Herrmann. But Mr. Broughton did not get anywhere near Miklos. I sometimes wish I had Thor's ears and not be able to tell the difference but I can in spades for certain composers. It gets me mad sometimes. Anyway, luckily, unlike a number of old recordings the FSM recording is a gorgeous recording. No contest which one I choose. I thought the FSM was in Mono? I agree. The OST for this one is the only way to fly. It is. While regretable, it's not always a bad thing. You guys are right, I corrected that. It sounds great on my computer speakers. Ordered. I've seen the movie, but William, you pushed me over. I have both. Play them a lot. But then I have all of FSM's Rozsa releases . god bless Broughton, he sounds like watered down Rozsa. Couldn't disagree more. I happen to have been listening to JC lately and reveling in Broughton's wonderful realization. I'll have to go back to the FSM, where I'm sure I'll find different virtues. But this comment should not have been allowed to stand unopposed for two years! Agree! The Boughton performance while different than Rozsa's own is quite good. It being The Ides of March and all. Heh. 71 views just to see that it's still in print! Y'know, I just noticed that picture on the front of the Saland dialogue release above isn't Julius Caesar. It's Octavian. Winner takes all I suppose. "Infamy! Infamy! They've all got it in fer me!" Having seen the film many years ago, and not particularly struck by Rozsa's score, 'Julius Caesar' was not a priority for me. However, having listened to the track samples on the CD on this site and being impressed by them, I decided to purchase the CD. I have no regrets. It is a memorable score worth repeated listenings. Typical Rozsa. The incorporation of the Dowland song into Rozsa's score, together with an alternative boy soprano version not used, is delightful. The FSM packing of the CD and notes are excellent. I have found the film on line and intend to watch it again with Rozsa's music fresh in my mind.